Please do not fill out the reservation form until you have submitted a request for a price quote. In the Directions and Additional Information box,please supply the name and contact information for your wedding coordinatior/consultant if you have one. In that section please also indicate if you would like to add the Gorgeous Garland Flower Package for the back of the car ($99), Keeper front name plate ($85) and/or the Oscar Night Red Carpet Package ($180). There is ample room in that box for any additional comments, directions or requests you may have. If so - for whom? 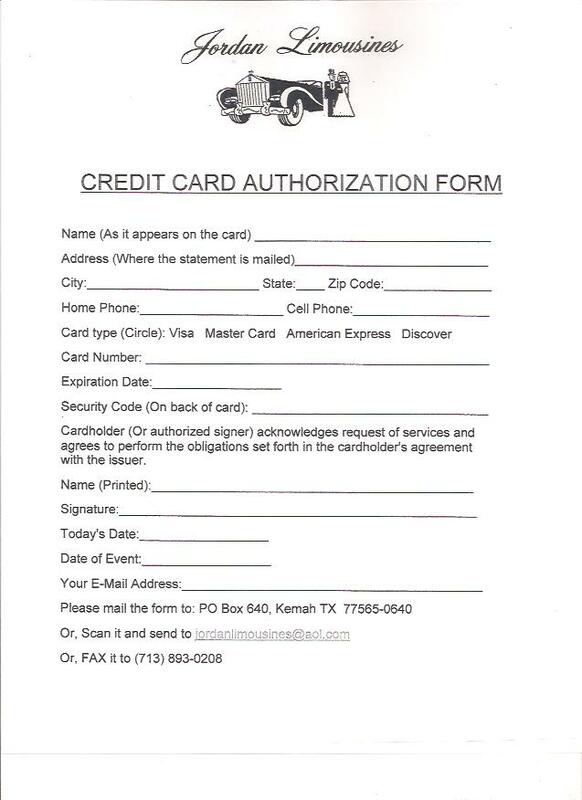 Please print and fill out the following credit card authorization form (located below form fields) before submitting your reservation. How did you find our service? What search engine did you use? What key words did you use? REFUND POLICY: (Broken Engagements Etc.) $150.00 cancellation fee anytime. Balance refunded if 60 days notice is given. ALL WEDDING AND PROM RESERVATIONS MUST BE PAID IN FULL 45 DAYS IN ADVANCE. NO EXCEPTIONS!